Is New York Life Insurance a great company, or what? % change from 2009 N.A. 2000-2010 annual growth rate % N.A. Download the ultimate tool to get you inside America's 1,000 biggest companies. Exxon Mobil rode high oil prices to earn a staggering $30 billion. From Apple to Google, here are more big winners. These 20 big employers have more than 96,000 job openings. What are they looking for in a new hire? Many Fortune 500 stocks soared in 2010, but these rewarded shareholders the most. Will they keep rising? 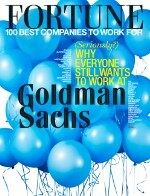 See the 27 companies that made both the Fortune 500 and Best Companies to Work For lists this year. Meet the masters of social media -- their Facebook Liking and Linking In is helping them connect with customers. Over the past decade, Fortune 500 shares have done pretty well. Investors in these firms weren�t so lucky. These CEO athletes may not have made it to the majors, but they did succeed on the playing field in school. It would be the world's second-biggest economy. See how big companies' sales stack up against GDP. The elusive Larry Page faces threats from Facebook and Apple as Google looks beyond search. Watch how Frito-Lay potato chips are made in an environmentally friendly way at a factory run by PepsiCo. Most stock quote data provided by BATS. Market indices are shown in real time, except for the DJIA, which is delayed by two minutes. All times are ET. Disclaimer. Morningstar: © Morningstar, Inc. All Rights Reserved. Factset: FactSet Research Systems Inc. . All rights reserved. Chicago Mercantile Association: Certain market data is the property of Chicago Mercantile Exchange Inc. and its licensors. All rights reserved. Dow Jones: The Dow Jones branded indices are proprietary to and are calculated, distributed and marketed by DJI Opco, a subsidiary of S&P Dow Jones Indices LLC and have been licensed for use to S&P Opco, LLC and CNN. Standard & Poor's and S&P are registered trademarks of Standard & Poor's Financial Services LLC and Dow Jones is a registered trademark of Dow Jones Trademark Holdings LLC. All content of the Dow Jones branded indices © S&P Dow Jones Indices LLC and/or its affiliates.